By default MySQL on Ubuntu Server 12.04 can only be accessed from localhost (127.0.0.1). Then prepare the database for freeradius. 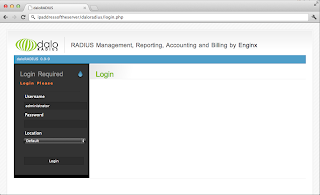 Create database radius and assign username and password for accessing it. The next step was to insert the database schema and I realized that I could not find the database scheme in /etc/freeradius. Obviously I should install freeradius-mysql package first. Now we try to insert new user for testing purpose in database. The next step is we need to configure the Freeradius files. Edit /etc/freeradius/sql.conf file. Setting database type, login and password that we already setup before. Then run this command to run freeradius in debugging mode. If there is no error, you are good to go. The test running well with Accept response from the server. 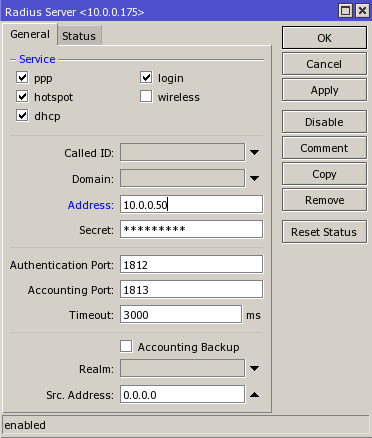 To enable Mikrotik device to access our server we need to add client in clients.conf file. We need to configure our Mikrotik devices to use our new radius server. We need to login to Mikrotik device and configure the radius in Radius menu. Below image is an example of our configuration. Then we need to setup the database. Because already setup the freeradius using MySQL, so we don't need new database. All we need to do is to import the daloradius scheme into our existing radius database. 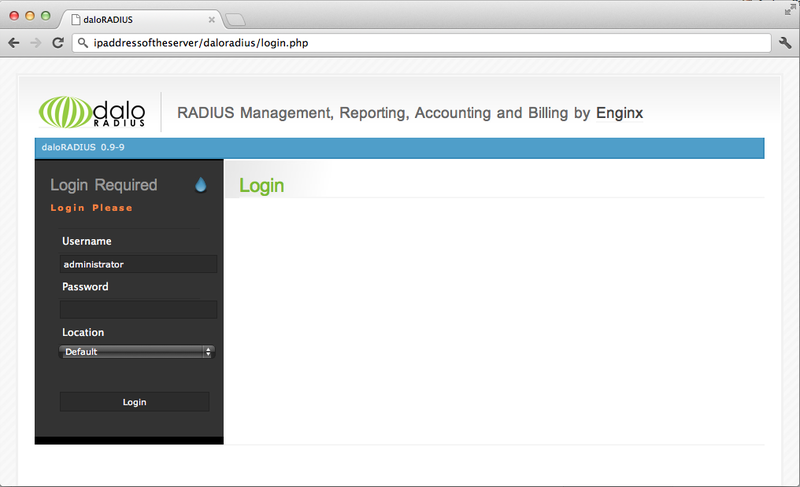 After database successfully altered, we need to configure the daloradius setting. *Note: In my installation, i had a problem because I didn't have php5-gd php-pear and php-db packages installed on my Ubuntu server. In my recent web application development, I need PHPUnit to run in my Macbook Pro Mac OS Lion X Lion. In my previous post I installed PHPUnit using PHP pear on XAMPP. So I need to set the environment variabel setting location in my Mac OS X Lion. We can do this with two easy steps.